Would you make a good mechanical engineer? Take our career test to find out how you match with this and over 800 other careers. What is the workplace of a Mechanical Engineer like? What types of industries can mechanical engineers work in? 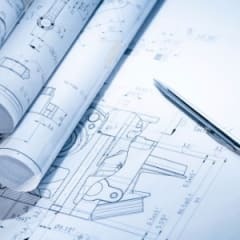 What makes a good mechanical engineer? What is some good advice for mechanical engineering students? What is it like being a mechanical engineer? Like other engineers, mechanical engineers use computers extensively. Computers help mechanical engineers to produce and analyze designs, simulate and test how a machine is likely to work, generate specifications for parts, monitor the quality of products, and control manufacturing and production. Are you suited to be a mechanical engineer? Mechanical engineers have distinct personalities. They tend to be investigative individuals, which means they’re intellectual, introspective, and inquisitive. They are curious, methodical, rational, analytical, and logical. Some of them are also realistic, meaning they’re independent, stable, persistent, genuine, practical, and thrifty. Does this sound like you? Take our free career test to find out if becoming a mechanical engineer is right for you. Mechanical engineers are the second largest engineering occupation. They work mostly in engineering services, research and development, manufacturing industries, and the federal government. The rest are employed in general-purpose machinery manufacturing, automotive parts manufacturing, management of other companies, and testing laboratories. Mechanical engineers generally work in professional office settings. They may occasionally visit work sites where a problem or piece of equipment needs their personal attention. Most mechanical engineers work full time, with some working as many as 60 hours or more per week. Mechanical engineers can find employment virtually anywhere where innovation takes place, and are sought out by employers within a variety of industries, such as: aerospace, automotive, chemical, construction, defence, electronics, consumer goods, marine, materials and metals, pharmaceuticals, rail, and utilities. Mechanical engineers can also work in non-engineering types of jobs, both within and outside of the engineering industry. These can be in areas such as: finance, management, law, the military, government, medicine, research, technical sales, technical consulting, technical publishing/science journalism, and teaching. From developing a prosthetic leg to a new child's toy, a degree in mechanical engineering gives you a diverse choice of industries and projects you can be a part of. A good mechanical engineer is an innovator at heart, and truly enjoys complex problem solving. They have excellent communication skills (both oral and written) and enjoy working with others as a team player. They are excited to be on the edge of technology, learning how to make things work more efficiently. They feel a sense of accomplishment when turning their ideas into reality and solving problems that better society. Mechanical engineers are naturally curious, innovative, creative, and practical, and have a desire to help people and the world around them. Becoming a well-rounded student with real work experience and good academic success is what will give you the optimal chance in landing a great engineering job. Note that top jobs will require both good grades and real engineering experience. Every summer that you're in university, make it a top priority to get an internship; there should be opportunities even for first or second year students. When going to a job interview, be as prepared as possible by reading up on interviewer's techniques and what questions will typically be asked. How you present yourself at the interview is as important as the experience or grades you have. It is recommended to write out notes and study them before every interview, even practicing with a friend if possible. Depending on what field of work you go into will depend on what your job will be like. Mechanical engineering is a broad career that deals with mechanical issues, and engineers typically work with mechanical physics, vibrations, forces, rotation, and velocity on a daily basis. In today's world, computers have changed how mechanical engineers do their job, allowing complex analyses to be completed in a matter of seconds versus the days or weeks of hand calculations that were once the norm. However, mechanical engineers will still use industrial production equipment, material-handling systems, and electric generators to produce a fully refined product, and using calculus and trigonometry is needed when confronted with the more complex and analytical portions of the occupation.